Reading Recovery in Canada operates under the Canadian Institute of Reading Recovery (CIRR) on three levels: schools, districts, and regions. The CIRR oversees and supports the operations of Reading Recovery, including training, ongoing professional development, and upholding the standards and guidelines. Four regions are responsible for Reading Recovery across Canada: the Atlantic Region in Nova Scotia; the Central Region in Thornill, Ontario; the Western Region in Winnipeg, Manitoba; and the Mountain Pacific Region in Vancouver, British Columbia. Each region is responsible for providing the year-long training of teacher leaders, offering ongoing professional development to teachers and teacher leaders, overseeing the work in teacher training centres and schools and working with district administrators in the analysis of data in order to strengthen implementation. First introduced in the provinces of Ontario and Nova Scotia in 1988, Reading Recovery expanded across Canada and is now implemented in 5 provinces and in the Yukon Territory. In 1992, Dame Marie Clay, originator of Reading Recovery, granted the Canadian Institute of Reading Recovery (CIRR) the right to register the royalty-free trademark for the term Reading Recovery in Canada. The CIRR was formally opened in 1993 at the University of Toronto through a partnership with Scarborough Board of Education and the university faculty. Prior to this time, Canadian teacher leaders trained at the National Reading Recovery Centre in New Zealand or at The Ohio State University in the United States. In 1995, the Canadian Institute of Reading Recovery Western Region was established in Manitoba. This was followed in 2003 by the establishment of the Atlantic Region. In 2005, the Central Region was established in Ontario, followed by the Mountain Pacific Region in 2009. These regions work in collaboration with the CIRR according to its standards and guidelines for Reading Recovery in Canada. These regions work in collaboration with the CIRR under the Standards and Guidelines formulated by the CIRR Board of Directors. Canada is a nation of two official languages, English and French. Therefore, it was critical that Reading Recovery be made available to Francophone and French immersion students. The first phase was the adaptation of An Observation Survey of Early Literacy Achievement, which resulted in the publication of Le sondage d’observation en lecture-écriture. A bilingual trainer supports the implementaton of Intervention préventive en lecture-écriture for Francophone and French immersion students in Nova Scotia, Prince Edward Island, Manitoba, Alberta, and British Columbia. Contact Yvette Heffernan. The importance of the Standards and Guidelines lies in their underlying rationales, which are understood and applied by trainers, teacher leaders, and liaison administrators at each site. Standards are deemed essential for assuring both quality services to children and successful implementation. They are the foundation upon which Reading Recovery is built. These are the musts that research and practice throughout the world have proven to be the essentials for successful implementation. Guidelines have been shown to significantly support program effectiveness and represent the means to achieving successful implementation. Canadian guidelines were written in collaboration with Reading Recovery teachers, teacher leaders, trainers, and liaison administrators throughout Canada, the United States, New Zealand, and the United Kingdom. They are intended to be informative to the cadre of personnel who are responsible for the establishment and maintenance of effective Reading Recovery sites. All Reading Recovery centres that annually meet the requirements set forth in the Standards and Guidelines for Reading Recovery in Canada, including making application to the Canadian Institute of Reading Recovery, are granted a 1-year royalty-free license annually to use the term Reading Recovery. Ongoing research and evaluation are essential in Reading Recovery’s success. The Canadian trainer team, in collaboration with the Canadian Institute of Reading Recovery (CIRR), has collected and analyzed outcome and implementation data in Canada since 1995. Since that time, nearly 200,000 children have received Reading Recovery lessons in Canada. 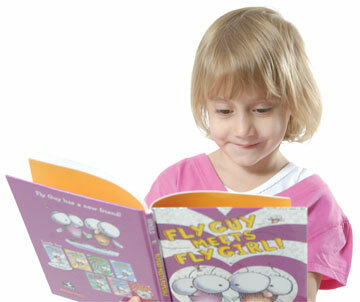 The National Reading Recovery & Early Literacy Conference is held every year in Ontario. Canada has established a Marie M. Clay Canadian Memorial Fund to further the expansion of Reading Recovery in Canada through training, research, and advocacy. Each year an event is held to honor of the work of Marie Clay and to raise funds to support training and research of Reading Recovery in Canada. Tax receipts will be issued for any donation to this fund. 307 – 1181 Portage Ave.